Super Savings Item! 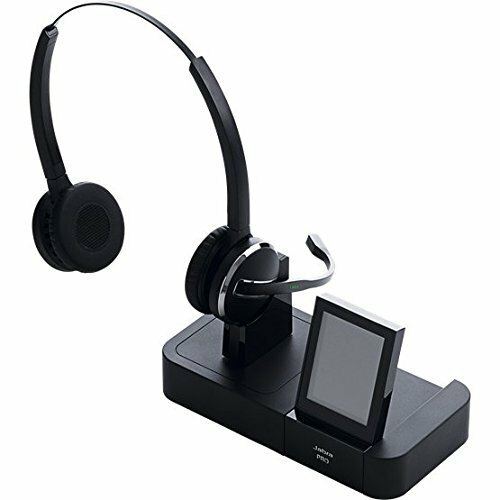 Save 37% on the Jabra PRO 9460 Duo Wireless Headset with Touchscreen for Deskphone & Softphone by Jabra at The Square SC. MPN: 9460-69-707-105. Hurry! Limited time offer. Offer valid only while supplies last. The Jabra PRO 9460 Duo binaural wireless headset lets users answer calls from either their desk or softphone up to 450 feet away from their phones. The Jabra PRO 9460 Duo binaural wireless headset lets users answer calls from either their desk or softphone up to 450 feet away from their phones. Audio quality features like an advanced noise cancelling microphone designed for loud acoustic environments (like contact centers), as well as Jabra Safe Tone acoustic protection make the PRO 9460 Duo a versatile choice for the office or contact center. Connects To Desk and Softphone Only.Touchscreen Display - Select models in the Jabra PRO 9400 series family feature an exclusive touch screen base that simplifies call management. Remote Asset Management - Configure and implement the company's audio devices 100 percent remotely from one central point. You get the latest features and functionalities on one go with Jabra Xpress, a web-based solution.